Bristolian House master Julio Bashmore’s eagerly awaited début artist album, Knockin’ Boots, is out right now if you fancy the vinyl, or on the 7th digitally. We’ve already checked out bits and bobs from it; Simple Love, Kong, Holding On, and now we’ve got another new one in the lead up to Friday’s release. Most of Julio’s tracks are solid House tunes peppered with a little extra genre spice and She Ain’t is no different,. Listen up. Flinging the French Touch, She Ain’t is a pounding House tune that revolves around a cheeky Disco loop. Riding the vintage hook is a juggernaut kick drum and chopped up vocal samples either spitting a mantra or having their warbling turned into a hypnotic drone. This one nicely straddles the line between infectiously funky and compellingly stompy. The frantic hats just add to the track’s forward momentum. The album should be cracking! Julio Bashmore Knockin’ Boots is released 7th August. 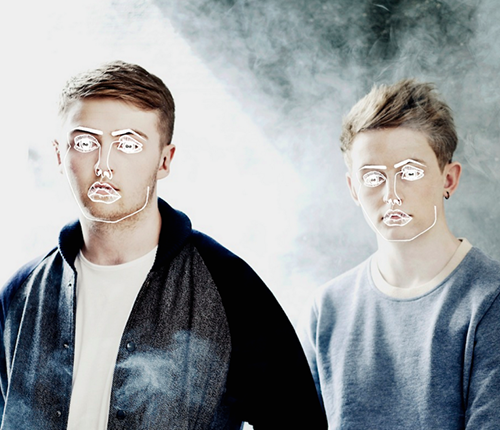 Last month the Disclosure dropped Holding On, the first single from their forthcoming new album Caracal. Featuring vocals from Grammy award winning singer Gregory Porter the track is a warm and glowing slice of UK Deep House. This tune has now been given a relentless dancefloor reMix by Bristolian producer Julio Bashmore. Most likely for slated for a forthcoming reMix single, ‘cos there’s no way this track and stay unreleased. Bashmore takes his time building up hypnotic groove based on undulating loops. Contrasting the reMixes rumbling baseline and knife edge hook with Porter’s comfortable and soulful vocal makes for an intoxicating six minutes. Loaded with a classic build, and groove you can get lost in, this track is summer festival gold and not to be confused with Bashmore’s own Holding On. 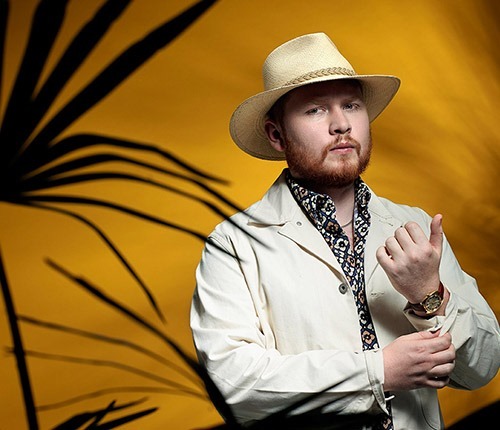 Bristolian production heavyweight Julio Bashmore is finally gearing up for the release of his début artist album. Announced last week the LP, called Knockin’ Boots, is due to be released in July and will feature recent smashes Simple Love, Rhythm Of Auld and Kong alongside a host of new material. Check out the new single from the forthcoming album. This is Holding On. 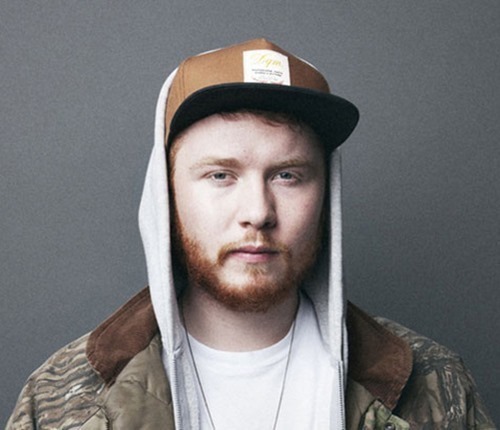 Bashmore explored his Disco side on Holding On. Mixing a little French Touch and Nu-Disco into his House sound. Sam Dew’s understated and soulful vocals glide like silk over a filtered, funky loop that undulates until it’s almost hypnotic. With cheeky little dips and nice transitions between it’s funky, sample based bars, Julio keeps things compelling throughout. A very nice teaser for the album indeed. Julio Bashmore’s Knockin’ Boots out 10th July. Bristol House guru Julio Bashmore’s forthcoming new album is set to drop early next year. The first single from the upcoming record will be Simple Love, a tune featuring the vocal talents of J’Danna. Premièring on Annie Mac’s show this past weekend, the tune is sure to mop up the remains of Festival season and destroy club dancefloors well into winter. Loaded with Bashmore’s trademark booming basslines, Simple Love is an intoxicating five minutes of laid back beats and bass. Appropriately titled, the track is deceptively simple with a sparse groove and hypnotic repetition that draws you into it’s filtered goodness. J’Danna’s husky vocals adds a little spice to the mix as part of a track that never once tried too hard to be anything. It just simply is. Julio Bashmore’s Simple Love is out soon on Broadwalk Records. Here’s the video for Bristol House guru Julio Bashmore’s Peppermint. The Jessie Ware featuring tune is already getting a hammering around the UK club scene and is a massive slice of festival House. The clip is a meticulously designed animated epic from director Noah Harris. Julio Bashmore’s Peppermint is out now. Here’s the video for Bass songstress Jessie Ware’s new single Imagine It Was Us. This Julio Bashmore produced slice off summery, smooth House gold is possible the best thing she’s ever done. Long time Ware collaborator, graphic designer, Kate Moross (of Monarchy T-Shirt and Simian Mobile Disco cover fame) directed the clip once more. Jessie Ware’s Imagine It Was Us is released 14th April as a single, it’s a bonus track taken from the forthcoming re-issue of her début album, Devotion (The Gold Edition), out 13th April. Classixx’s deep DiscoPop ‘Into The Valley’ single, as reMixed by Julio Bashmore. It’s bitcrushed, deep, House-Pop with a video that goes really well with the track directed, by Marcus Herring. You can download the ‘Into The Valley’ single, from Green Label Sound, here.